In 2013 the IUCN SSC Amphibian Specialist Group (ASG), along with the Amphibian Survival Alliance (ASA) developed a number of working groups tasked with reviewing efforts since the Amphibian Conservation Action Plan (ACAP) was developed. One of the tasks of these working groups is to develop new actions and strategies for addressing and supporting international amphibian conservation efforts. One of those groups is the Captive Breeding Working Group, which is co-facilitated by Ben Tapley from the Zoological Society of London, and Kevin Johnson from the Amphibian Ark. Working group members have developed a vision and goals, and a detailed Action Plan for the coming five years (www.amphibianark.org/pdf/ASG-CBWG-Action-Plan.pdf). We welcome your feedback on the Captive Breeding Working Group’s Action Plan, and please feel free to let us know of any progress that you or your organization have made on any of the actions or if you are willing to add your name to any of the actions. A number of actions in the plan revolve around disseminating information about resources of particular interest to the ex situ amphibian conservation community. Below are a series of links to a range of resources, that we hope you will find useful. Please feel free to share with any of your colleagues who might find this information useful. List of amphibian husbandry experts and their contact details, listed by country. This list can be filtered by a range of categories, including nutrition, population management, enclosure design, developing new programs, live food production and many more. There is also a form for you to add your own profile and your areas of expertise if you are willing to provide support to other amphibian programs. This directory is not available to the general public. Husbandry Documents – Husbandry Documents pageThis page includes a wide range of articles related to various aspects of amphibian husbandry. You can search for specific words within the title, author and description fields by using the Search field in the menu bar at the top of this page. There’s also a form on this page if you would like to submit additional husbandry-related documents for this page. The Conservation Needs Assessment process objectively and consistently identifies priority amphibian species and their immediate conservation needs, providing high level guidance for both in situ and ex situ conservation action. Recommended conservation actions and priorities for each species are generated from the assessment data and include ex situ rescue, ex situ research (e.g. husbandry analog species), supplementation, and conservation education. The View Assessments page (www.conservationneeds.org/AssessmentSearch.aspx) shows all recommendations from over 2,600 assessments for more than 2,307 unique species (31% of the 7,530 currently-known species), in 27 different countries or regions, and is highly recommended when considering which species require additional ex situ programs. A list of all species recommended for urgent ex situ rescue programs via Conservation Needs Assessments. These are species that still exist in the wild, but the threats being faced by them cannot or will not be reversed in time to prevent likely species extinction. The species are arranged by range country, with highest priority species at the top of each list. A list of all species recommended for ex situ research programs via Conservation Needs Assessments. Most of these species are recommended as analogs that can be used to developed husbandry protocols that can subsequently be applied to related, but more threatened species. The species are arranged by range country. Amphibian Ark has developed an easy to use checklist that should be utilized prior to the commencement of any ex situ conservation breeding program for amphibians. If, and only if, all of the critical program aspects can be met for a species, should a new program be implemented. The program implementation tool can be used online. Amphibian Ark’s Population Management Advisory Group has developed a tool to help calculate the number of founders that should be collected for a new program, based on the reproductive biology of the species being considered. The tool can be used online or downloaded and used offline (www.amphibianark.org/tools/AArk%20Founder%20calculation%20tool.xls). This section of the Husbandry Documents page on the AArk web site includes a range of species-specific amphibian husbandry guidelines. It also includes blank templates that can be used as a starting point for writing your own guidelines. Also found on the Husbandry Documents page on the AArk web site, this section includes a number of species-level management plans documenting the various aspects of the overall recovery of each species. It also includes blank templates that can be used as a starting point for writing additional management plans. This page leads into a group of pages for people managing captive amphibian programs, including specific pages on amphibian husbandry, establishing new programs, species knowledge, adequate program resources, population management, founder animals, husbandry skills and husbandry standards. HabiData is an online resource intended to become a hub or repository for natural history and environmental data from wild amphibian populations. It is intended to be dynamic, so that it can evolve and grow as more information is added to it. We hope that this project will stimulate the collection of new data, which can be included in the database, as well as gathering and collating existing data. It is also intended to be the product of community effort – please get in touch if you want to offer data, advice, time or something else to the project. PopFrog is a suite of interactive management tools to aid captive population managers to set population goals and methodology for ex situ conservation populations. Initially PopFrog was developed to specifically address to provide guidance to amphibian population managers. Later a new section was added to expand its capabilities to analyze populations of species that have lower reproductive rates. PopFrog is a cooperative effort of the AZA Population Management Center at the Lincoln Park Zoo, IUCN Conservation Breeding Specialist Group, Amphibian Ark, The Toledo Zoological Society, and the Smithsonian National Zoo. Successful captive conservation programs include a series of key steps throughout their life, from correct founder numbers, development of husbandry guidelines and a management plan, successful reproduction, and ultimately self-sustaining populations back in the wild. By documenting the progress of captive programs we are showing that zoos, aquariums and other ex situ facilities are making a vital conservation contribution towards reducing the loss of amphibian species, and for our community to be broadly acknowledged as a credible conservation partner. Check the progress of over 180 programs in 29 countries. Amphibian Veterinary Outreach Program (AVOP) – The AVOP mailing list is available for registered users to post questions related to health and veterinary concerns within ex situ amphibian conservation collections. 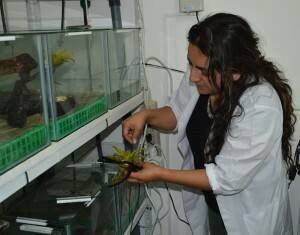 Only amphibian professionals who are (1) in Latin America, (2) working in zoos, universities or other facilities involved in keeping living colonies of amphibians for conservation breeding, research, education, and (3) have limited access to a vet trained in amphibian issues (membership of this list requires moderator approval). Animals For ACAP – A forum for AArk partners to list their surplus captive-bred animals available to Amphibian Conservation Action Plan (ACAP) researchers, and for ACAP researchers to post requests (membership of this list requires moderator approval). Funding Opportunities – Receive (and post) announcements about grants and other funding opportunities appropriate for amphibian projects. Husbandry Chat – Everything related to the art and science of maintaining living collections; share successful techniques with newbies or present your challenge to the experts. 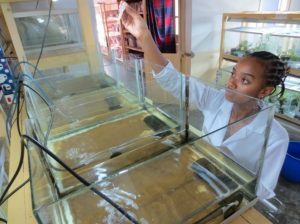 Jobs – Looking for a frog keeper or other dedicated amphibian position? Post here! Latin America – A forum in Spanish for topics related to ex situ amphibian conservation in Latin America. Meetings – Announcements for conferences, workshops, etc. with amphibian content. News and Publications – For sharing the latest amphibian news updates and PDF publications.